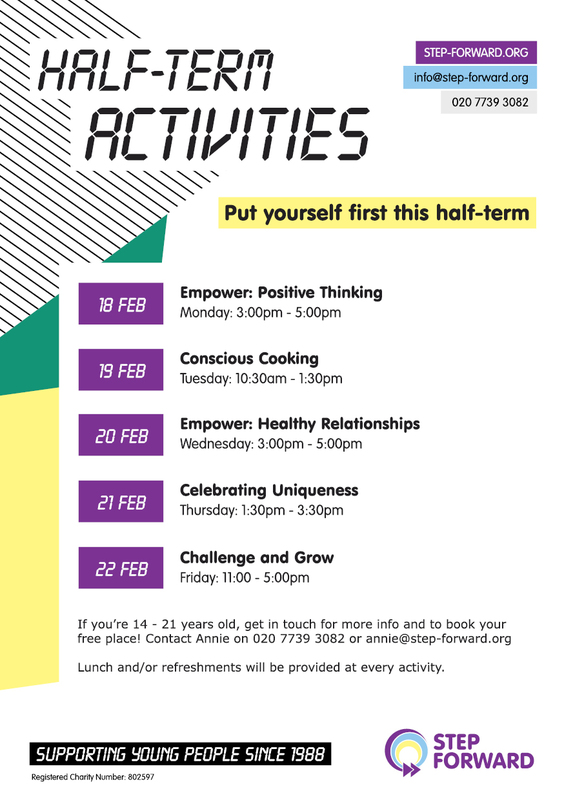 If you’re 14 – 21 years old, get in touch for more info and to book your free place! Contact Annie on annie@step-forward.ord or 020 7739 3082. Lunch and/or refreshments will be provided at every activity.